Santa And Mrs. Clause Help Kick Off The Holiday Season In Lake City. 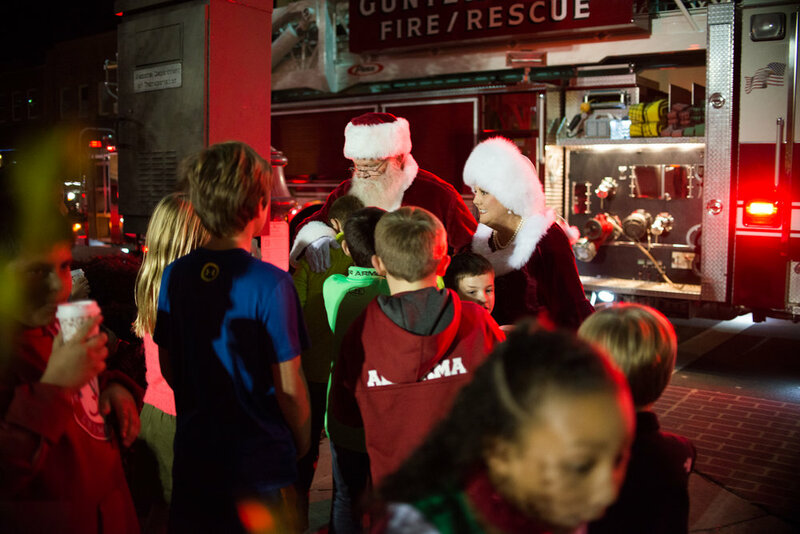 There are few things that get kids excited like firetrucks or Santa Clause, and each year the City of Guntersville combines the two for an experience they'll never forget. It's become a tradition in Guntersville to kick off the holiday season each year with the lighting of the city's Christmas Tree in Errol Allen Park. It's an evening anticipated and enjoyed by young and old. Once the local elementary school choir has finished a medley of carols for the community and everyone has warmed themselves with some hot cocoa, the excitement really starts to build. The flashing red lights coming down Gunter Avenue can only mean one thing, and everyone know what that is. Santa and Mrs. 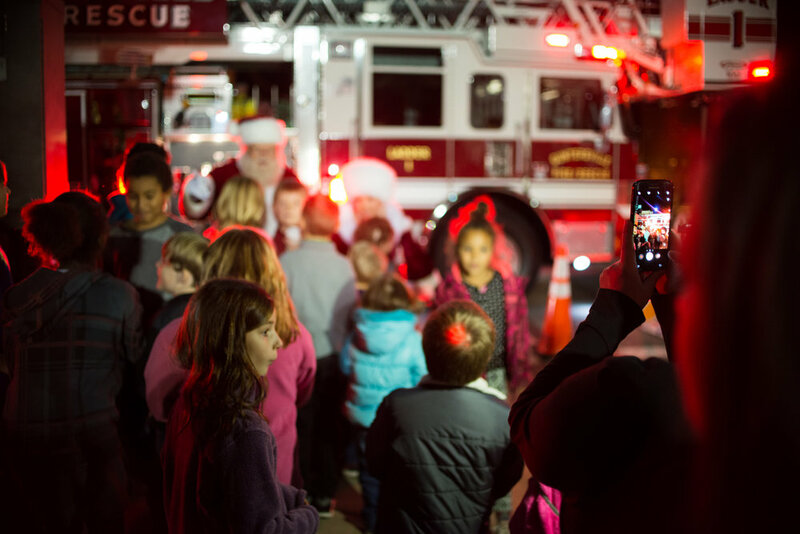 Clause are about to show up to help the mayor with the lighting of the giant evergreen ... and instead of a sleigh, they're coming it a big shiny firetruck. Swarmed by elated kids, Santa and Mrs. Clause are truly gracious, taking time to share hugs and hellos before offering the official tree lighting countdown. And once the switch has been flicked and the cheers subside, the make time to pose for photos before returning to the North Pole to check over his naughty and nice list once more before returning to Lake City on Christmas Eve. Guntersville Museum Opens Annual Holiday Exhibit.